If the very thought of Scandi design teamed with children’s furniture sends your heart aflutter, this post is sure to give you a cold sweat. 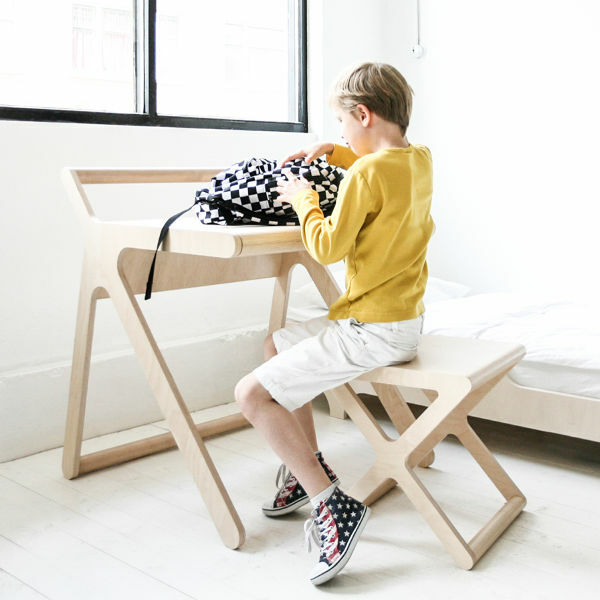 One of our favourite brands, Rafa Kids has revealed its latest foray into the children’s furniture market. We loved the R toddler bed at J bunk from Rafa Kids when we showcased them last year, both for the aesthetic appeal and their functionality. Now we’ve fallen head over heels all over again with the launch of the K desk. Beautiful and useful, it can be set to two positions. When it’s in the open position, the kids can rest books against the lid, as they study or draw. When down, the desk has a different look altogether. Having the lid down also hides whatever was on top of the desk, keeping it safe and looking tidy. The look of the desk is sublime, with no visible screws or connectors. The lid closes safely with hidden dampers making for a soft descent. The desk comes in a natural version, which has two layers of transparent lacquer. The white and black versions of the desk are created using a water-based stain, and also protected using the lacquer. But with all of the desks, the gorgeous grain of the wood is left to shine through. 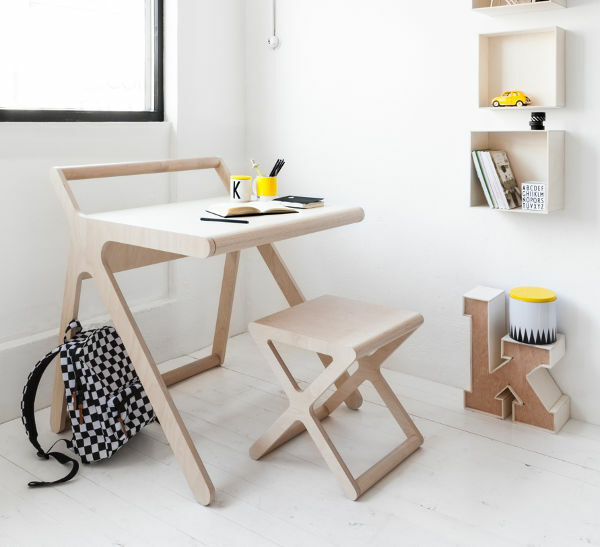 And if you’re not sure of the right chair to go with the K desk, Rafa Kids will soon be releasing an x stool. 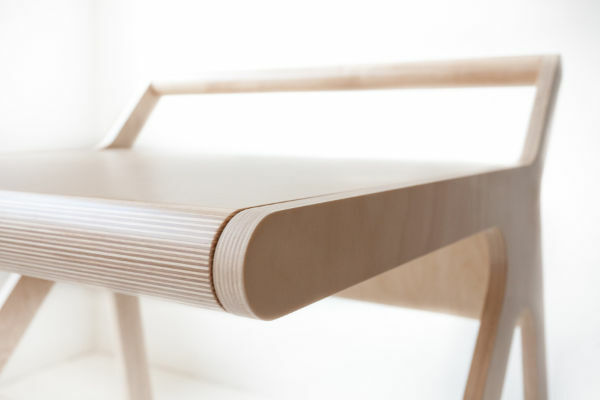 The desk will become available next month, for a cost of €685.00, plus shipping to Australia.